LP Service has built its business by providing exceptional quality and service to our customers. 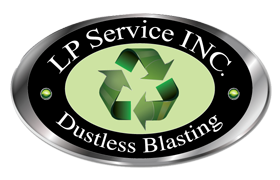 We have been serving Fairfield and Westchester counties for more than 15 years, and are proud to now offer dustless blasting as part of our professional services with out dust free technology. Importantly, our dustless blasting technology is Eco-Friendly, and meets all the standards set forth by our community. We know how difficult it can be to take your automobile, boat or pool equipment to an offsite location. We have a mobile system to meet the needs of our customers. Our dustless system is the best option available sine it creates no heat or dust, and there is no need to clean the surrounding area after the project is done.